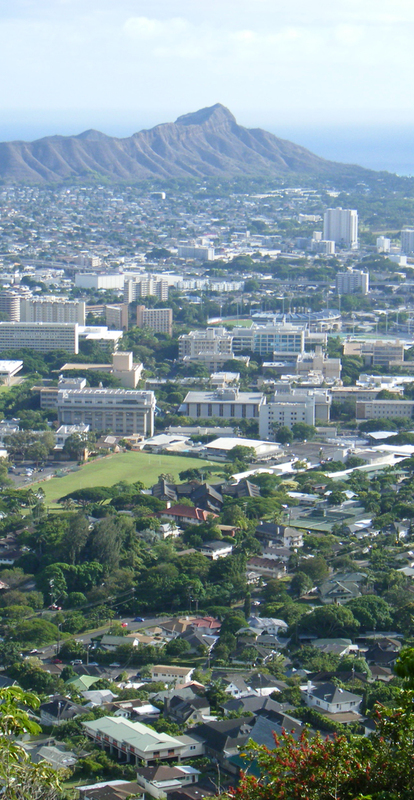 The University of Hawai’i is a Research I university and the Department of Art and Art History is a comprehensive and diverse center for the graduate study of Asian and Pacific arts and the visual arts. It is the only institution in Hawaii that offers the MA in Asian and/or Pacific art history and the MFA in visual arts. The MA in art history emphasizes the arts of Asia and the Pacific. The curriculum is designed to allow the student to understand the significant forms and issues in Asian and/or Pacific arts within their culture and historical contexts; to understand and apply a variety of art history methodologies, and to successfully research and add to our knowledge about Asian/Pacific arts. The internationally renowned Art Gallery of the Department provides stimulating exhibitions and hands-on experience for graduate students. The Intersections Visiting Artist Program provides a lecture/residency opportunity that brings artists and scholars who cross artistic and intellectual boundaries http://www.hawaii.edu/art/news+events/events/. Students are also encouraged to do internships, research and participate in local museums such as the Honolulu Museum of Art, The Contemporary Museum, the Hawai’i State Art Museum and the Bishop Museum. Photograph by Travis Thurston, 2009, and licensed under the Creative Commons Attribution-Share Alike 3.0 Unported license.